Dear Brothers and Sisters we are glad to say that our struggles for the charity school are getting very fruitful. We have been started it since last month. 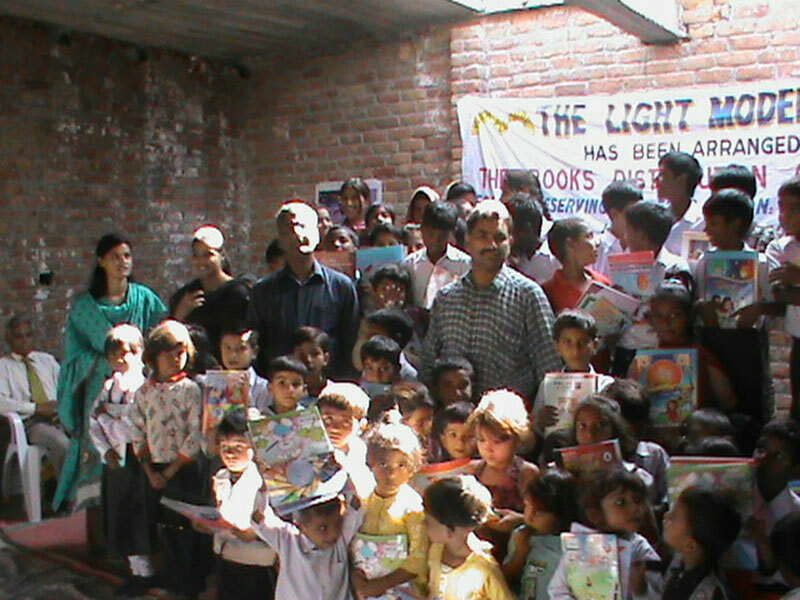 Again I am sorry to get late of sending you updates due to our evangelism trip to Kashmir and struggles for opening school. Thank you for all your love and care during our worst country condition. Your prayers were the big encouragement for us in this crucial time. God has reward for each one of you. Stay blessed in the name of Jesus…Amen. Last month the movie “Innocence of Muslims” created a lot more problems for the Pakistani Christians. We being Christians faced many challenges; churches were being burned by the extremists. Read more about this in our previous Report. 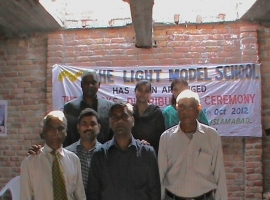 For this month the GEOM team has the opportunity to visit Kashmir just for the encouragement of our people there. We had the blessed time and fellowship with them and they were so happy to have us there. But still we are not able to send pastor over there due to our situation here. We are keeping in touch with them, praying and looking forward to have a permanent pastor there soon. 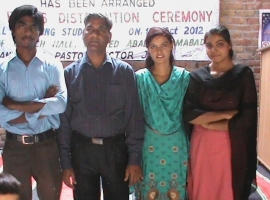 Pastor Shakeel’s new site to plant a new Church at Ali Pur Farash area is getting very interesting. God has opened a big door for him to evangelize and make disciples 60-70 families at that surrounding. Those people are living far from each other. Pastor Shakeel has problem to reach them out. He needs a motorcycle to reach them out and also there is no proper worship place for them. 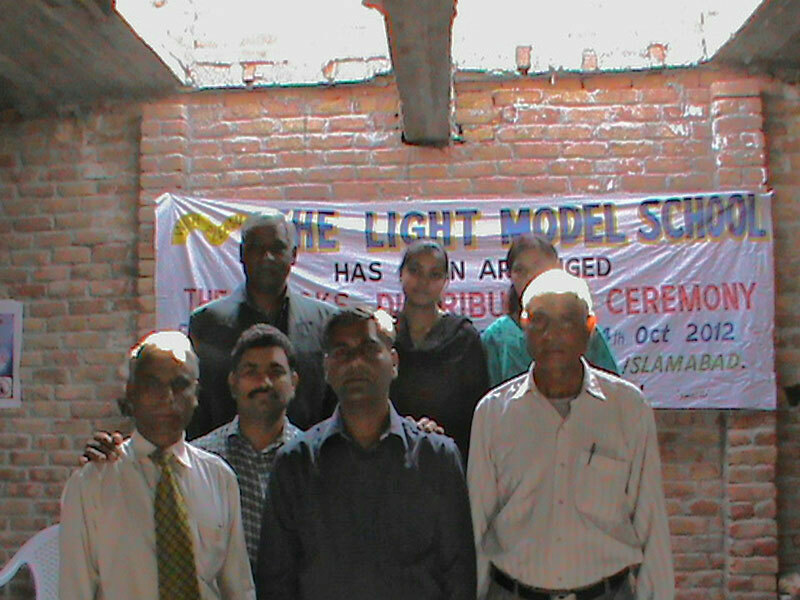 We are praying and looking for to have these facilities for Pastor Shakeel and his newly planted Church. 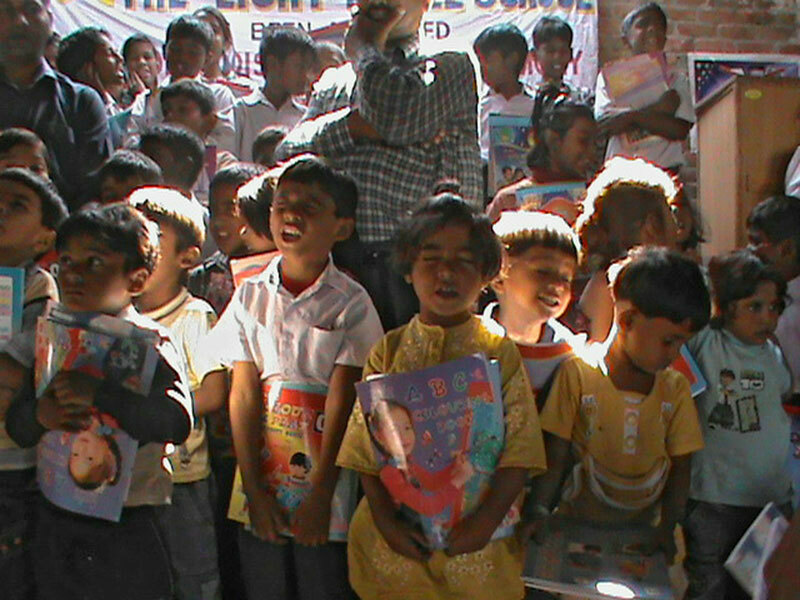 Charity school is in progress now, we have started in this month and by October 14th we had the book distribution ceremony for the needy and poor kids. There were some 90+ students enrolled up to grade 5. We had the hard time to have books for them. But thank God for the book publisher who got agreed to provide us books on installments. We are praying and looking forward to have this money and running expenses for the school. 10-year old Sammer Javed belongs to a poor Christian family, living in a poor Christian colony of Islamabad. His parents have no proper jobs. Two years ago Sammer Javed got an accident and his left leg fractured. Unfortunately his broken leg could not fixed well by the doctors, that made him disabled to walk and on the other side his parents had no money to go hospital for his further treatment…last month we met that family and saw the situation….its really miserable. We brought Sammer Javed to “Shifa International Hospital” Isalmabad for checkup… after examining him, the Doctor encouraged us and gave us 100% hope and surety that child can walk normally after the operation, but he said that the expenses will be more than $2500. We are praying and looking forward to meet the said expenses and have his operation as soon as possible. By next month we will have his operation. Please keep him in your prayers. • New Church planting project. • Converts Church in Kashmir. • Deliverance of 4000 Bibles/New Testaments this year to gentiles. • Literature and transportation needs. • Financial support for team members. • Motorcycle for Pastor shakeel.